Donald Glover, Rihanna, and Letitia Wright debut at Coachella with their new film “Guava Island”. The movie can be streamed on Amazon Prime, but for those who do not have Amazon prime it is okay. The movie is available without a subscription until 6:01 pm PT/9:01 pm ET tonight. Amazon Prime isn’t the only place you will catch the film. Guava Island will also be available on Coachella’s YouTube Channel and on Twitch at 5:00 pm PT/8:00 pm ET. The movie is said to be 55 minutes long. It is a hybrid film and visual album. 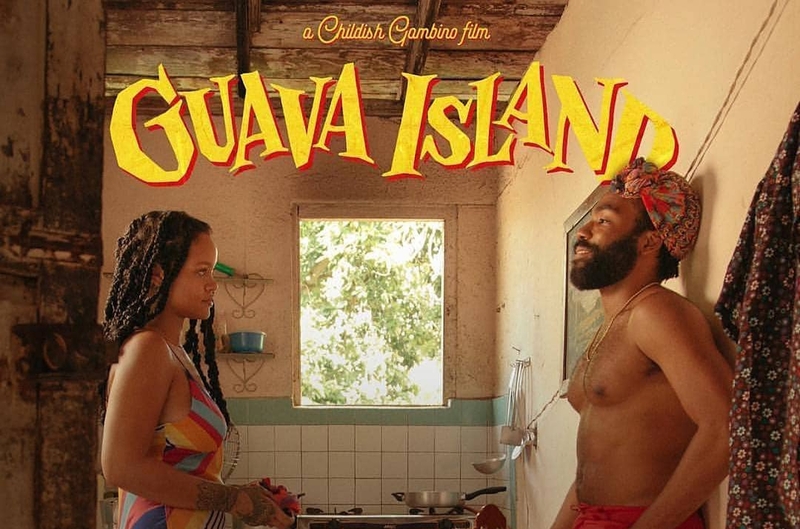 Donald Glover plays the role of a radio DJ working on a musical festival in Guava Island. The festival is set to unite the community. Meanwhile, he is crushing on Rihanna who is his childhood friend. Letitia Wright has a brief role in the film as a factory co-worker. We won’t ruin all the details but here is a snippet of what you will see.